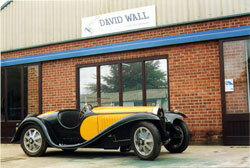 The car was stripped to a bare chassis which was repaired in our jig, all panels were repaired. She was returned to her very pleased owner about 8 weeks later. 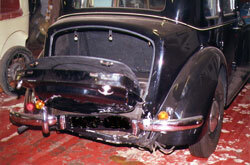 Right: Accident damaged Rover 75. 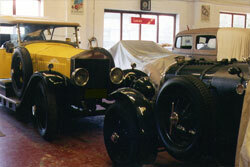 Left: This 4.5 litre Bentley in for servicing comes face to face with a Ghost in for electrical problems. 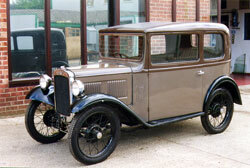 Right: 1933 Austin 7 general restoration. 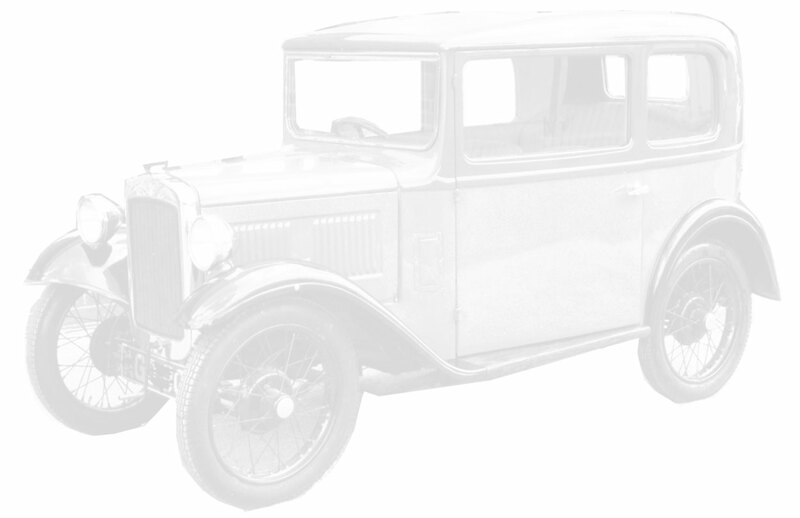 The colours are carefully matched to the originals and are correct. 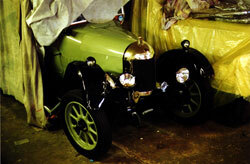 Left: In for minor paintwork repairs. 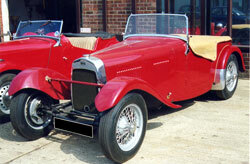 Right: MG PA Midget. Panel new body frame in steel, restore refit wings and repaint ready for owner to assemble. Left: HRG New windscreen, paint and fit new body, repair and re-spray wings. 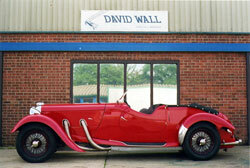 7000 trouble free miles so far and a second in class at Pebble Beach 2006. 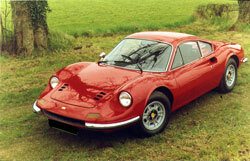 Left: 246 Dino. 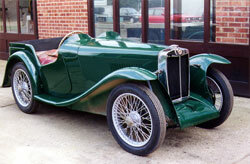 Body restoration, re-trim, assemble and refit engine.